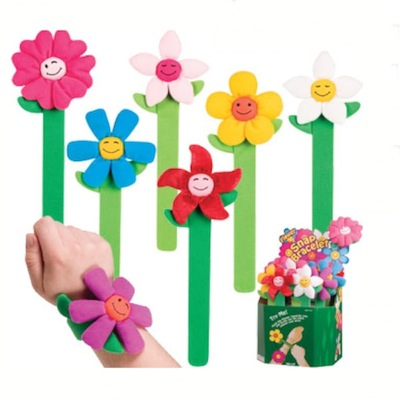 Snap this 10.5 inch fabric-covered flower onto your wrist and it will transform into a whimsical bracelet. Assorted flower styles and colors. Price per bracelet.